You’re a Grand Old Flag is a popular song written by George M. Cohan. The song was published in 1906 and first performed on the stage on February 6. Cohan wrote the song for his musical George Washington, Jr. The song was first performed on the opening night of the play at Herald Square Theater in NYC. According to records of the musical, the above scene was replicated and the soldier’s comment serves as a lead-in to the song. The song became the first song from a musical to sell over one million copies of sheet music. The song has become a popular song, especially for the Fourth of July and other Patriotic events. 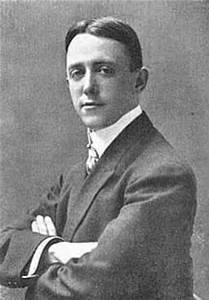 George M. Cohan gave us many hits including Yankee Doodle Dandy and Over There.